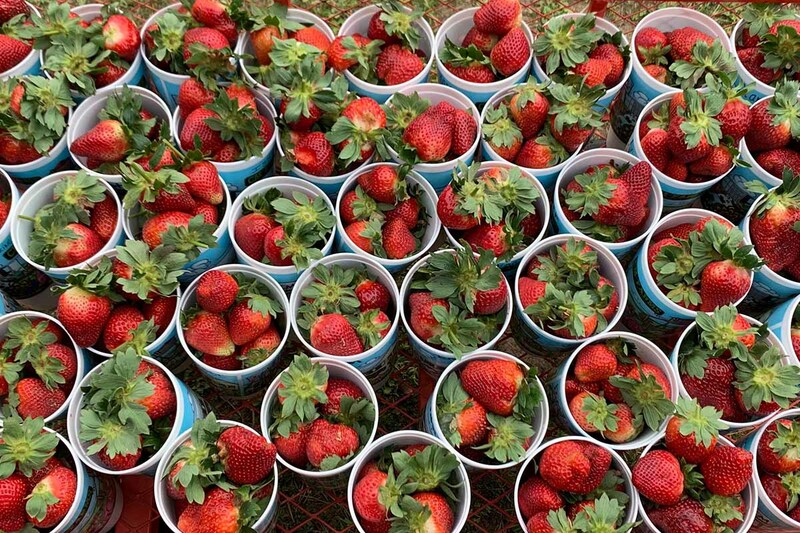 We have delicious, fresh-grown strawberries here at CM Farms! After bringing the delicious berries home, keep ‘em fresh longer with this little trick. Mix 1 part vinegar to 5 parts water. Put all your berries in the large bowl and cover with liquid. Let your berris soak for about 5 minutes. Vinegar is a natural disinfectant and will get rid of any bacteria or fungi. Next, strain your berries and place them on the paper towels to air dry. Once they are completely dry (moisture actually speeds up the decaying process), place them in the breathable container and store in your fridge for your next snack attack! Head on out to the farm this Spring to pick a few strawberries yourself or purchase a flat or two at the Country Store! Follow us on Pinterest for mouthwatering strawberry recipes!